And just like that, Yawkey Way is dead. From here on out, the famous thoroughfare clogged with fans, merch, and street cart sausages will be known as Jersey Street. In a move that supporters say removes a relic of a dark part of Red Sox Nation’s history, the five-member Public Improvement Commission voted unanimously Thursday to abandon the ode to former Red Sox owner Tom Yawkey, whose legacy with the franchise is tainted with charges of racism. As you’ve probably heard, the Sox under Yawkey’s leadership became the last team in the majors to integrate. 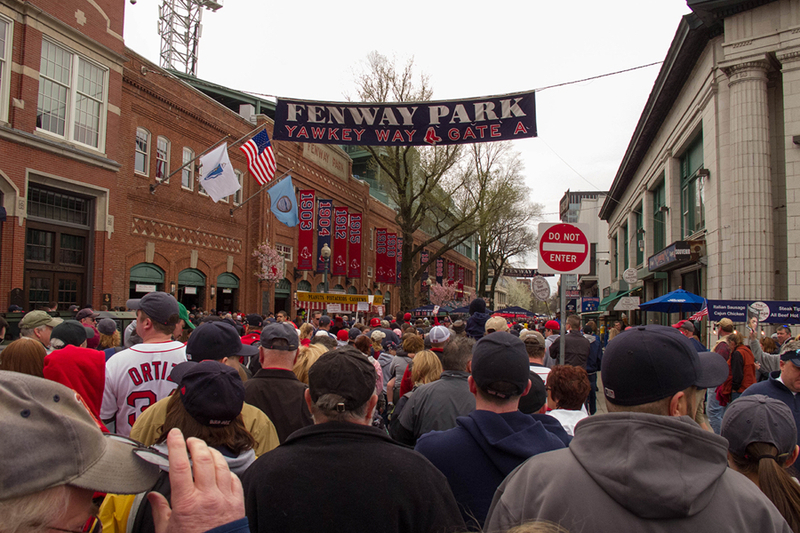 That history, amid a renewed look at monuments to problematic figures nationally, fueled a push over the past two years to rename the street that runs along Fenway Park, which has been an ode to Yawkey since 1977. The switch to Jersey Street will return it to its original name. Sox owner John Henry got the renaming process going in earnest last summer, when he said he was “haunted” by Yawkey’s legacy and supported efforts to remove the very prominent ode to the man next to the storied stadium. He rallied support from the street’s other abutters, who agreed with him. And then they formally petitioned the city earlier this year. It’s been a contentious process. The charitable Yawkey Foundation has pushed back on characterizations of its wealthy benefactor, who died in 1976, and says he wasn’t the racist he’s made out to be by modern critics. Before today’s decision, a vote on the switch had been delayed several times, to take more time to receive input from the public. The vote today came with no discussion and the meeting reportedly lasted less than five minutes.